Oral cancer is one of the most common types of cancer in the world today. It commonly affects the mouth, tongue, lips, and throat. At least 40,000 people in the United States are diagnosed with oral cancer every year. At least 40% of those affected succumb to the disease within 5 years, and most of the survivors end up suffering long-term complications such as difficulties with speaking and eating. The primary reason for the high mortality is that oral cancer is difficult to detect in its early stages. Hence, it’s typically discovered when it’s already too late. As Oral Cancer Awareness Month approaches, dentists and other stakeholders in the field of oral health are urging patients to go for regular dental check-ups. These check-ups play a significant role in the early detection of oral cancer to increase the chances of successful treatment. April is Oral Cancer Awareness Month. 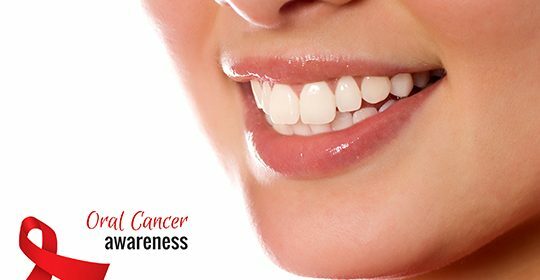 This is the month when various dental associations in the U.S. join hands with the non-profit Oral Cancer Foundation to sensitize the public on oral and oropharyngeal cancers. The aim is to remind the public that early detection and treatment of these cancers can help reduce treatment-related health issues and mortality. What is Oral Cancer Symptoms? There are several common risk factors for oral cancer, including tobacco use, prolonged sun exposure, infection with human papillomavirus, poor diet, and excessive consumption of alcohol. You are also more vulnerable to the disease if you have a history of oral cancer. Now that you know something about oral cancer make sure to participate in the Oral Cancer Awareness Month, and go get yourself screened to stay as safe as you can.